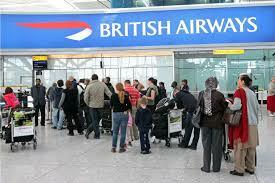 British Airways to resume most flights but delays still expected – Royal Times of Nigeria. 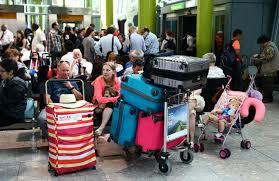 Thousands of passengers had their plans disrupted, while some who did get to travel had to do so without luggage. British Airways has warned of further delays and cancellations as it resumes flights following the major IT failure that saw most services cancelled from Heathrow and Gatwick on Saturday. The airline has said it will refund reasonable costs to passengers, and assist them with rebooking flights. BBC reports that disruption is expected to continue throughout the bank holiday. Customers have been advised customers to continue checking the status of their flight on its website www.ba.com before travelling to the airport. Heathrow Airport is providing an updated schedule on its website, as is Gatwick. BA has apologised to customers for the global issue, which is thought to have been caused by a power supply issue to its IT system.